(PMCA — November 2017 — Bethlehem, PA) — In early November, Savage Bros. Company, equipment manufacturer located in Elk Grove Village, IL, served as the host facility for PMCA’s Caramel Fudge and Toffee short course. This was the first time PMCA hosted a course at this facility, which required the association to alter, quite successfully, the traditional format of the course. Savage Bros. purchased and renovated a new building two years ago, which includes a classroom adjacent to a demo room specifically to provide another resource for educational opportunities for the industry. Mark Heim, a 38-year veteran of the confectionery industry and formerly with the Hershey Company, and Randy Hofberger, a 35-year veteran of the industry and formerly with Nestlé, led both the classroom and hands-on experiences. 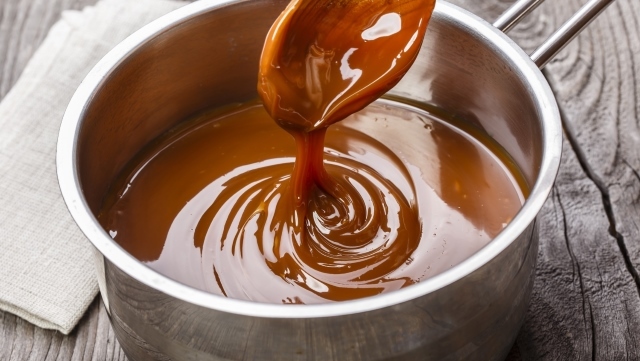 Course topics included component and ingredient variables, processing fundamentals and troubleshooting for the production of caramel, fudge and toffee products. Participants in the course had the opportunity to prepare a variety of caramel, fudge and toffee products. Experimenting with several different recipes, participants learned the effects of various ingredients on the resulting taste, color, texture and overall quality of the product. The course included equipment demonstrations, videos and a tour of the Savage Bros. facility. An extensive evaluation of the products produced was conducted throughout each day of the course. Charlie Albrecht, Savage Bros. Co.
Megan Coffey. Victus Ars Inc.
Bill Proksa, Savage Bros. Co.